We all know coffee is mostly water, right? Nasty water will make nasty coffee. This is no different brew method to brew method, but a lot us forget to use filtered water when we’re making cold brew. Recipes are a little complex, and the chance of remembering exactly what you did in 24 hours time when the brew is finished seems slim. Write down your recipe and take the time to taste the coffee once its done and make a few notes. Are you stoked? What would you change for next time? Yiew! Coffee is fun! 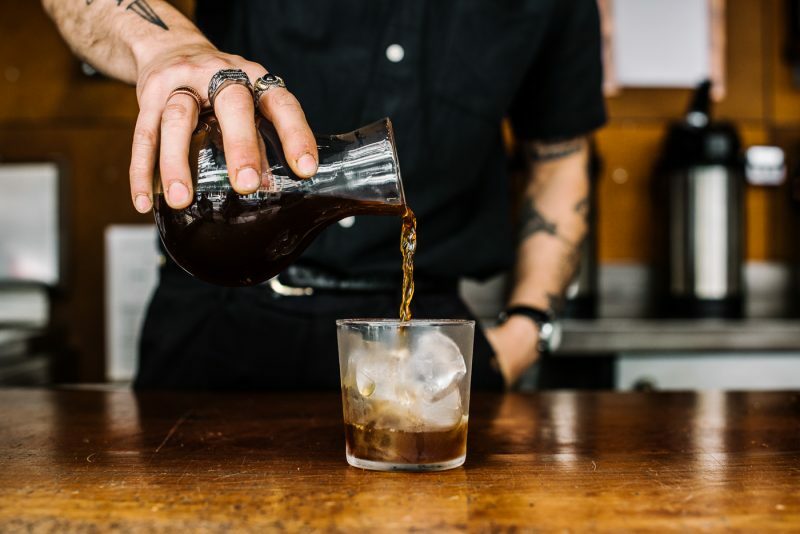 Experimenting both with the brewing and serving aspects of cold brew can be exciting. Getting a single dialled in and expressing it’s own unique flavours is great, but experimenting with sweeteners or other additives to complement these flavours can be equally rewarding. A cold brew take on an espresso tonic? Yum! A slice of blood orange to brighten up a brew? Delish! If you’re looking for inspiration a quick google of ‘coffee in good spirits’ or watching a few recent World Barista Championship routines may give you some nifty ideas. As you may be aware, ‘chilter’ is gaining popularity. What is it, I hear you ask? Simple really, chilled filter. This can be brewed through your Moccamaster or Fetco, or even at a smaller scale through a v60 or Aeropress. This style of cold coffee is gaining popularity as it’s fast and easy, and provides a good use for your leftover batch at the end of the hour! You can find a quick recap of popular brew methods here. Ask any good cocktail bartender, ice is super important. At the basic end we want to make sure the ice has no taints; that the water was good and it doesn’t smell or taste like the freezer. At a more advanced level density and shape will change how the ice melts and how it dilutes your coffee. This is getting a bit nerdy for a cafe application, but bigger cubes will do a better job of keeping your coffee cold without diluting it too much.